So apparently while on my honeymoon road trip, an MAF (Mass Air Flow sensor) decided to fail on my GTP. I took it to a shop to determine that was the actual issue and not something else. After it was realized that this was the problem they gave me a quote to replace the MAF sensor and the air filter, $591. Completely shocked, I asked what the breakdown was and here was his response: "Well a new MAF is $250 and the air filter is $10." Me: "So that's $330 to install a new air filter and the MAF???" Shop guy: "Yeah that's what our book has it as before tax." 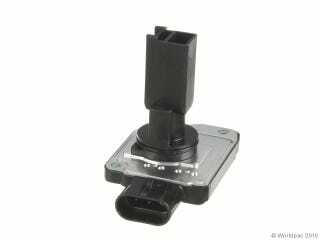 Me: "I know for a matter of fact that the sensor is right on top and easily replaced"
Sales guy: "Well I haven't gotten a chance to look at it..."
Me: "Either way the part isn't 250 either, I can buy one with a limited lifetime warranty for $130!" Shop guy: "So do you want us to go ahead and order the part?" Me: "No...I'm just going to come pick it up and do it myself"
Shop guy: "Well that will be $103.13 when you come to pick it up." Shop guy: "We ran the code and diagnosed the problem and you aren't getting the work done with us." Me: "So because I refuse to be bamboozled I will get bamboozled?" Shop guy: "You wanted the car diagnosed sir." Later I paid to get my car back and then bought a new MAF and replaced it in less than 10 minutes. Seriously just 2 screws held the thing in place. Apparently that's worth $330 in skilled labor. I'll know better next time.